3-in. Stainless mandrel bent tubing. 4in. black Ceramic T304 Stainless; Rolled Slash- Cut Tip; Clamp on. The black Elite Series product line truly displays Gibson�s commitment to dominating performance and style. 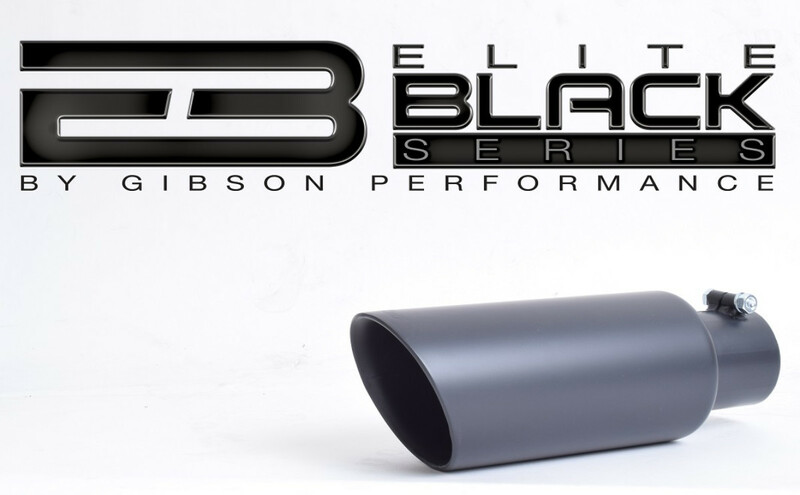 Each T-304 stainless tip is offered with a premium black finish applied with Gibson�s formulated process exclusive only to the black Elite Series. 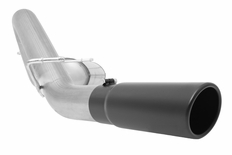 For increased style and Performance, the series pushes the sound through our proven stainless steel Superflow Muffler giving you a vigorous deep tone. It�s manufactured with high quality stainless steel tubing and backed by a limited lifetime warranty. With this perfect combination, Gibson Performance exceeds expectations with the ability to offer quality and style beating their competitors while being Made in the USA. Gibson Performance prides themselves on quality. The process is similar to the other diverse ranges of exhaust kits to maintain top quality with the added exclusive process to make it �Elite�.